Everyone else does it so I guess we should too. 1) Despite much bluster about "reforming" the state's speed camera law, the General Assembly ends without passing any reform bill and without allowing a speed camera repeal bill to come to a vote. 2) Baltimore City's speed camera program shut down after revelations of hundreds of erroneous tickets. The issues occurred on the tail of numerous prior revelations of errors which had been documented in 2012. The program remained shut down for the remainder of the year until December when the city finally gave up on its contract with Brekford Corp under an agreement under which both sides were required to keep the reasons for the split secret. 3) A Maryland Court ruled that agencies which run speed cameras can profit by committing forgery, deciding that the public has no standing to file a class action lawsuit against a speed camera program even if the basis of the suit involves a violation of criminal law. 4) The state's Open Meetings Compliance Board found that Baltimore's speed camera task force had violated the "open meetings act" by holding a secret meeting at a Brekford facility which excluded the public and the press. 5) Speed camera contractor Brekford Corp was forced to refund citations issued in Hagerstown and Greenbelt after it was revealed that cameras had not been re-calibrated every 12 months as required by law. 6) DC issued three speed camera tickets to a Baltimore City resident whose car had never even been in the city. 7) The Town of Fairmount Heights was forced to shut down its speed camera program after it was revealed it never obtained permits to run the required speed cameras. 8) A Montgomery County speed camera falsely accused a non-speeding motorist, by issuing a citation which contained pictures of completely different cars in the two images. Montgomery County had bragged in emailed testimony to a state lawmaker that their program has "an accuracy rate in the 90% range". 9) The State Legislature jacked up gas taxes and substantially increased tolls on roads and bridges across the state. 10) A Prince George's County parking enforcement officers was indicted for falsifying parking tickets, issuing thousands of dollars of tickets to innocent motorists. 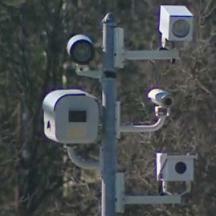 11) Salisbury stalled access to speed camera calibration records requested under the Maryland Public Information Act by the Maryland Drivers Alliance for several months. When the documents were finally released months later after a request by a media organization, the documents revealed gaps in calibrations similar to those which occurred in Hagerstown and Greenbelt. The city was also unable to produce "daily setup logs" for most days for which they had been requested and some of the few which were produced contained defects. The City has yet to announce any large scale refunds. 12) A lawsuit was filed to obtain documents pertaining to speed camera errors from the Town of Brentwood, after we had been unsuccessful in obtaining responsive documents from the town under a Public Information Act request for a period of almost three years. The town has provided some documents since the case was filed, but the matter is still pending. 13) The Town of Morningside responded to a Public Information Act request for calibration records by stating that it maintains no calibration records. A lawsuit has been filed to obtain the calibration records. Some motorists had complained of receiving inaccurate citations from the town. It was also revealed that Prince George's County had in fact rejected Morningside's request for permission to deploy speed cameras, but that the town had deployed them anyways. 14) A secret speed camera meeting was hosted by the Maryland Association of Counties, the Montgomery County and Prince George's County Government, and the Maryland Municipal League which banned the public and the press from observing. The Maryland Drivers Alliance had been invited to attend the event by AAA (who also co-sponsored the event) but our representative was barred from entry at the door. The head of Montgomery County's speed camera program specifically stated to our representative at the time that we would not be allowed entry because our organization opposes speed cameras. 15) A Montgomery County Circuit court ruled that not being the driver of a vehicle can be an affirmative defense for a speed camera citation, according to the wording of state law. Another court ruled that if the county did not publish the locations of speed cameras in advance this can also be a valid defense.